CONG. 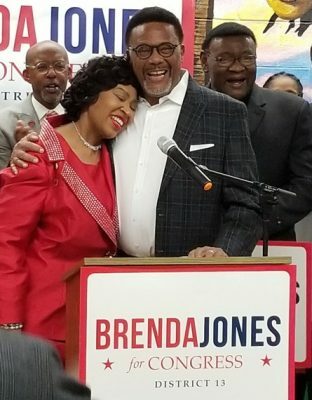 CANDIDATE BRENDA JONES MUST ANSWER: WILL DETROIT BECOME ANOTHER FLINT FOR HOMES, NEW JAIL? ANOTHER FLINT? An aerial view of the proposed new Criminal Justice Complex at E. Ferry and I-75; new housing has also been placed there. DETROIT — In late January Brenda Jones, council president of the city of Detroit, announced she was running for the congressional seat in the 13th district, formally held by retired Congressman John Conyers. Last year, well before she ran for congress, Hilanius Phillips, a former Detroit Head City Planner attended a public meeting she organized and raised some very serious questions about public safety. Phillips warned that air pollution in the area slated for housing on the east side of Detroit around East Ferry and the I-75 Expressway could produce the same health problems as the water pollution that caused the Flint water crisis. He has specifically said that because residents would get air pollution from the medical waste incinerator, a liquid waste plant, and traffic from the expressway, those living there could face sickness, breathing problems, and lead poisoning, while the children could also develop learning disabilities. At that particular meeting Jones claimed the city never approved the housing there and she publicly promised to investigate the matter. For months as a free-lance reporter I made continuous calls to Jones’ council office to find out about the investigation she promised to make. She was always unavailable. After many attempts to get information, I was finally referred to an aide, who told me she knew nothing about it and could not speak for the council president. 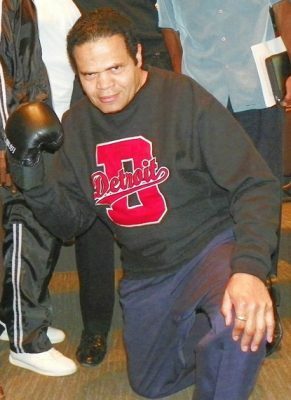 Hilanius Phillips outside Council hearing Sept 17, 2012, opposing Belle Isle state takeover. The housing was built in that area. Then, last summer Detroit Mayor Mike Duggan and Wayne County Executive Warren Evans set up a land deal, where a new Wayne County Criminal Justice Complex would be built precisely in the center of the area Phillips warned about, the intersection of East Ferry and the expressway. The location was unanimously approved by the Detroit City Council, with Jones herself voting for it. Before this issue can go forward, the Wayne County Board of Commissioners also has to approve putting the complex there. One hopes there will be some serious deliberation before they make such a decision. If Phillips is correct about the environmental hazards of the area, anyone incarcerated in the Criminal Justice Complex, employed there, or even entering it to testify, could be affected. Phillips, who is African American, is particularly concerned about how Black people will be affected. However, as John Donne and Ernest Hemingway would have put it, no racial group can say the bell only tolls for other groups. It would toll for all of them. It would seem that blue lives wouldn’t matter, since the complex would contain guards, a sheriff’s office and police working there eight hours a day. The complex would contain a court with prosecutor, lawyers, court clerks, secretaries and witnesses. It would even have high officials, such as the warden, the sheriff and the judges. To some extent this may turn out to be an equal opportunity disaster, a catastrophe affecting all. If these projects are indeed dangerous, Council President Jones may be facing criminal charges. 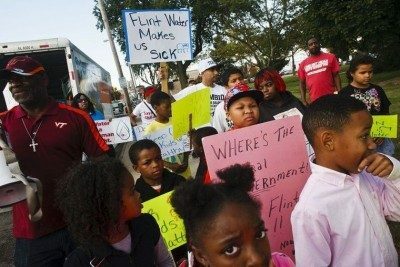 Michigan Attorney General Bill Schuette declared the Flint Water Crises occurred because officials in charge of the water system failed to “placed the health, safety, and welfare of citizens first” and had a “preoccupation with data, finance, and cost” at the expense of average citizens. 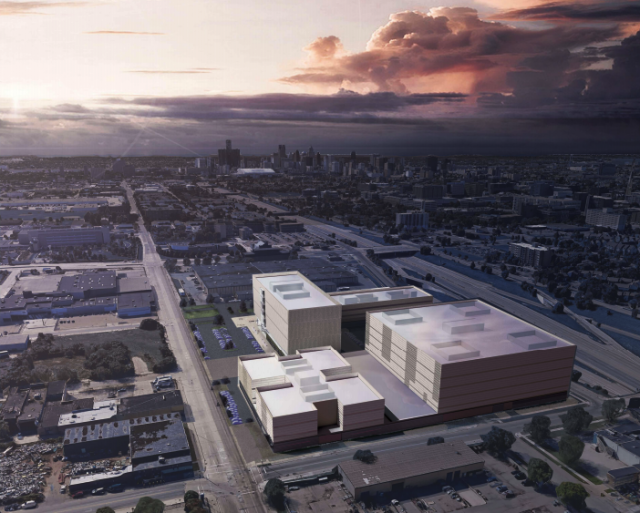 If the same conditions develop in Detroit at the East Ferry housing or the Criminal Justice Complex, Detroit officials may be in the same boat. In her congressional campaign, Council President Jones must answer whether anyone investigated the environmental safety of the eastside area, as she promised, and if so what they discovered. The voters have a right to know.